Let’s go to the beautiful Canary Islands! I just found a nice deal on lastminutecharter for you guys to escape the winter. 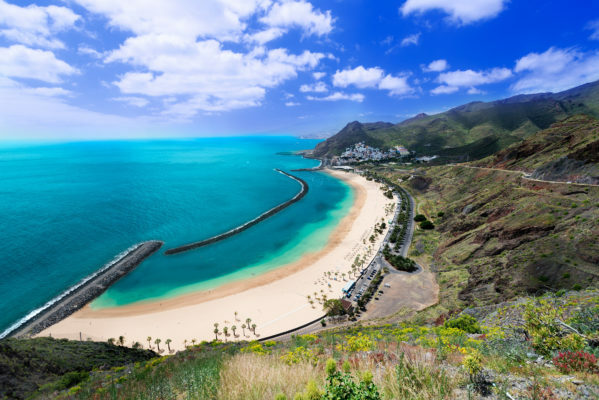 From only 299 kr you can fly to the Canary Islands Tenerife and Gran Canaria. Departure is from Copenhagen (or Aalborg) with Thomas Cook Airlines. Hand luggage is already included in the price. Tenerife is the biggest island of the Canary Islands and there is much to be enjoyed. Besides the eternal sunshine and the beautiful beaches on Tenerife you can explore the Teide National Park, swim with turtles in Costa Adeje, go for surfing and discover the sub-tropical forests. Visit the Faro de Maspalomas on Gran Canaria, make a tour to the Dunas or have some fun with the slides at the Aqualand Maspalomas. More fun stuff you can do on the island is to visit the Roque Nublo or watch the show at the Palmitos Park. There are available dates in February that I have found for you guys! Don’t hesitate, the sun is waiting for you. Let’s go to the deal! Sign up for my Newsletter, and don’t miss anymore deals. You’ll be the first to find out about our Tenerife offers!